The consumption of palatable high-fat and high-sugar foods have increased dramatically over the past years. Overconsumption of calorically dense food contributes to increasing rates of overweight and obesity that are associated with psychiatry disorders, in particular mood and anxiety disorders. 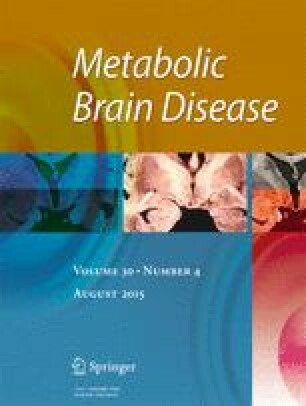 This study evaluated the impact of palatable cafeteria diet (CAF) intake on cognitive and noncognitive behaviors, as well as identified factors related to these behaviors through an evaluation of brain neurotrophic factor (BDNF, NGF, and GDNF) levels in hippocampus of mice. Male Swiss mice received two different diets during 13 weeks: standard chow (STA) and highly CAF. Posteriorly, forced swimming test (FST), tail suspension test (TST), plus-maze test (PMT), open-field tests (OFT), and object recognition task (ORT) were utilized as behavioral tests. In addition, brain-derived neurotrophic factor (BDNF), glial cell line-derived neurotrophic factor (GDNF), and nerve growth factor (NGF) neurotrophins’ levels were evaluated in hippocampus of mice. The results demonstrated that mice from the CAF group showed a decrease in the immobility time in the FST and TST. Besides, mice in the CAF group spent more time in the open arms of the PMT. No significant differences were observed in the cognitive behaviors, which were evaluated in the OFT and ORT. In addition, the CAF group showed that BDNF and NGF protein levels increased in the hippocampus of mice. In conclusion, our data suggest that the consumption of palatable high-fat and high-sugar foods induces antidepressant- and anxiolytic-like behaviors, which can be related with BDNF and NGF expression increases in hippocampus of mice in the CAF group. Laboratory of Neurosciences (Brazil) is a center within the National Institute for Translational Medicine (INCT-TM) and is also a member of the Center of Excellence in Applied Neurosciences of Santa Catarina (NENASC). The authors would like to thank the Graduate Program in Health Sciences (PPGCS) and the Postgraduate Program in Cellular and Molecular Biology Applied to Health Sciences (PPG-BioSaúde) for the use of their equipment, in order to carry out this research. This research was supported by grants from National Council of Technological and Scientific Development (CNPq) and Coordination for the Improvement of Higher Education Personnel (CAPES). Center for Experimental Models in Psychiatry (USA) is funded by the Department of Psychiatry and Behavioral Sciences, The University of Texas Medical School at Houston.